Fabio is Founder, Chief Executive Officer and President of World Media and Technology Corp and World Global Network PLC.A visionary leader and creative mind behind innovative products, Fabio has been fully involved in the strategic development of WOR(l)D, supervising the whole marketing and branding strategy. As CEO of the company he is primarily in charge of leading the management of the company as well as generating new business by implementing best practices in R&D. Fabio began his career as an Internet and technology entrepreneur. In 1994, he created the People’s Network, a start-up based in Europe which became the second largest ISP in Italy and the fifth largest in Europe. He set up a franchising organization with more than 60 Point of Presences (PoPs) throughout the territory and he expanded his activity into the UK in 1996. In 1997 he successfully exited this business. He subsequently founded Mecotek International in 1997, an IT company based in Singapore. At Mecotek International, he served as President and Chairman of the Board and was responsible for Product Strategy. In 2001, Mecotek formed two manufacturing plants in China and one in Thailand in 2002. At this time, he led Mecotek into a partnership with Italy’s public administration in order to undertake their biggest custom-made, personal computer project, valued over 60 Million Euros. This project was rolled out with the marines and Italian special forces. He designed and mass-produced one of the first multimedia LCD-PCs on the market in 2003. 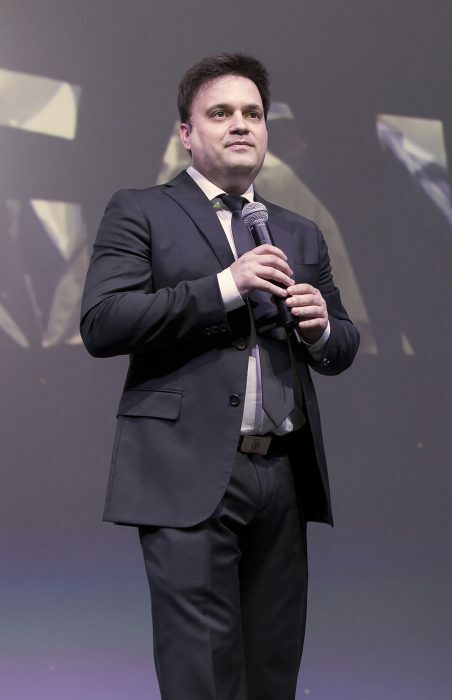 He presented it on a worldwide exclusive at CEBIT, successfully securing significant sales in Europe and the US.In early 2005, he founded his first Network Marketing company specializing in Telecommunication and created one of the first retail, fixed and mobile-VoIP platforms, launching one of the first consumer-based VoIP applications in Europe, Russia and Latin America. Within 3 years, he led operations in more than 50 countries, with more than 250,000 subscribers and 75,000 distributors, thanks to the innovative Multidimensional Marketing business model that topped more than $100 million dollars in revenue.